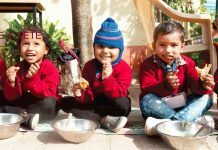 Although India is a large and rapidly expanding global economic power with the middle class having more spending power, rural India is still living on just two dollars a day. Paid work in rural India is few and far between and the wages are meagre. Lack of decent income continues to keep people under prolonged poverty, malnutrition and illiteracy. Women on Wings, together with its business partners, aim to create one million jobs for women in rural India. A job means an income, economic autonomy and an escape from the cycle of poverty. Research shows that women spend their income on their families, for example, sending their children to school, which increases their chances of a better future. 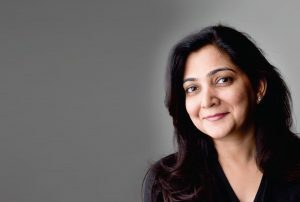 Shilpa Mittal Singh, Joint MD, Women on Wings talks to Archana Sinha about their nine year journey so far and how they are planning to create 207,500 sustainable jobs for rural women and send 622,500 well-nourished children to school. 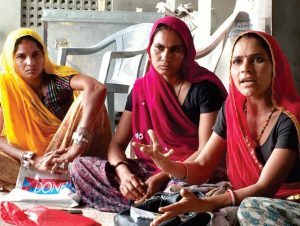 How did this journey of making village women financially empowered, start? Could you apprise us of the beginnings and interesting but inspiring interludes of this journey? Our co-founders Ellen Tacoma and Maria van der Heijden had come on an exchange programme to Udaipur in 2007. During the course of the programme, they worked with Sadhana, a women-based cooperative. They made handcrafted products from environmental friendly cotton and silk and colours from natural dyes. The women at Sadhana earn a fair income based on work they deliver per piece. 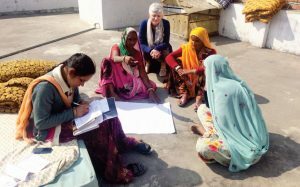 While here, Ellen and Maria realised that Sadhana has grown inorganically to a point and there was a huge gap of business knowledge to take the cooperative to the next level. Slowly and steadily, they started plugging the gaps and the business started making huge profits. Due to this collateral effect, more women were employed. 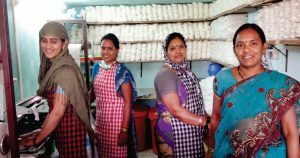 They found out there would be so many more social enterprises in India that would benefit from capacity building and up scaling to provide more jobs to women in rural India. Thus the seeds of WOW were planted and the beautiful journey started. What were the obstacles you faced initially while convincing these women to come out of their homes and take up these jobs? Women on Wings collaborate with social enterprises to mobilise women to come out of their homes and work. These women do face a lot of obstacles as they are not allowed to venture out and earn a livelihood. Ground level NGOs have done a phenomenal job of including these women in the workforce. 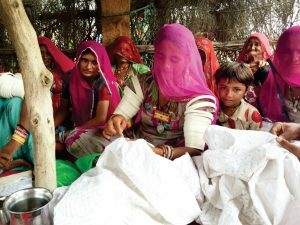 They have conducted many sessions and met up with the families to convince them to allow their womenfolk to engage in some form of vocational activity. What are the changes these experiences have brought in their lives? First and foremost, the confidence of the women has gone up tenfold. Financial empowerment is the biggest advantage that these women get. They have been mobilised into self-help groups, opened bank accounts and started small lending and borrowing activities. This has resulted in growing self-esteem and immense respect for themselves. This is a milestone achievement for the rural sector where old values and traditions still hold roost. One or two women in this group shine and become role models for others. Subsequently, the task of including women becomes much simpler. They start mobilising each other. 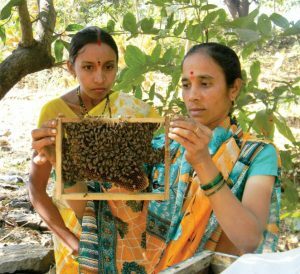 The SHGs are then formalised in a producer organisation, co-operative or a society and some economic activity then begins. An additional point of the change is that these women are becoming more and more self-reliant. Families are now accepting the fact that additional income is beneficial and it increases the family standards for education, nutrition and general living. Which are the States and districts covered under this programme? Our goal is to provide mentorship to social enterprises. We work with partners pan India and are present in small pockets in some of the northern States. We are currently extensively engaged in the north and north eastern states of Rajasthan, Gujarat, Assam, Meghalaya, Manipur, etc. We are also working in certain pockets of Telangana, Andhra Pradesh and Tamilnadu empowering women indifferent economic activities ranging from apparel making to food and agriculture to even forestry and dairy farming. Financial literacy is a part of financial independence. Do you also focus on that aspect of development? Financial management is a key training that Women on Wings provide for the social enterprise. 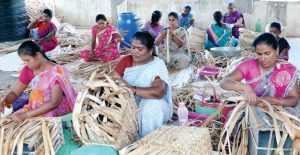 Our aim is to support social enterprises to be financially stable and growing so that jobs for rural women continues to grow and become sustainable. Educating a girl child is another area which is closely related to women empowerment as it continues the momentum that is derived from the initial efforts. Are you also looking into this aspect? When we work with social enterprises, our single focus is to increase jobs, thus resulting in more income for women. Research has continuously proven that income in the hands of womenfolk always leads to better education and nutrition of the family. That has been the collateral effect of our work in this sector. Similar is the need for taking control of health and hygiene, and complete charge of their reproductive health. Is your organisation working in these areas too? One of the key programmes that we run jointly with Dharma Life is in sales and distribution of sanitary pads in Munger and Bhagalpur, Bihar. 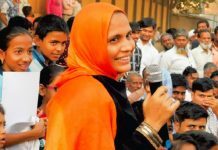 This is part of the programme, “Making Periods Normal” with Rutger Simavi and their local partners, like BVHA (Bihar Voluntary Health Association), Restless Development, Sewa and Pratham. 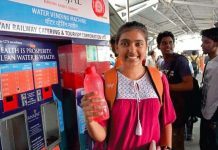 The goal of the programme is to create jobs for women and make menstrual hygiene products accessible to the female population of Munger and Bhagalpur. The roles and responsibilities of Dharma Life and Women on Wings have been divided where Dharma Life manages the sales and distribution programme at the grassroots level and Women on Wings transfers knowledge regarding sustainable business models in production, sales and distribution of sanitary pads, based on local entrepreneur and ownership. How do you assist them get financial help to start a business? We work primarily in scaling up the existing business. We have a clear measure of the jobs created. Till now, we have created 207,500 jobs. We also support social enterprises in financial planning. Some of the enterprises have inroads to Venture Capitalists or Social Investors. We guide and consult them to make robust plans which have helped them raise funds and attract investments. What message would you like to send to the affluent people of India to help more women strive for financial independence thus becoming economically productive for themselves and their society? Women are the backbone of the rural economy. Women empowerment is a must. Financially independent women are a necessity. Our message is that people should start focusing on starting or building enterprises which can create jobs in this sector. This will also reduce migration to cities. Products and services made by rural artisans should be bought, consumed and exported. Increase in sales of handicrafts, textiles and agri products is a boost to rural artisans, helping them become self-reliant and financially independent. Collateral effect of this work is also the preservation of our culture and traditions.